21 Days Til I Do! Today's dress should look familiar to you guys! It's the same one I used for Day 22! But there was still a whole lot of material leftover and I just couldn't let that go to waste! Using the whole bottom of the dress, I added a seam at the top of the remnant material. I left a larger seam allowance here and threaded elastic all the way around. This former skirt was now going to be worn at my shoulders, so I did a little cinching to get the perfect length that would keep this new top up! 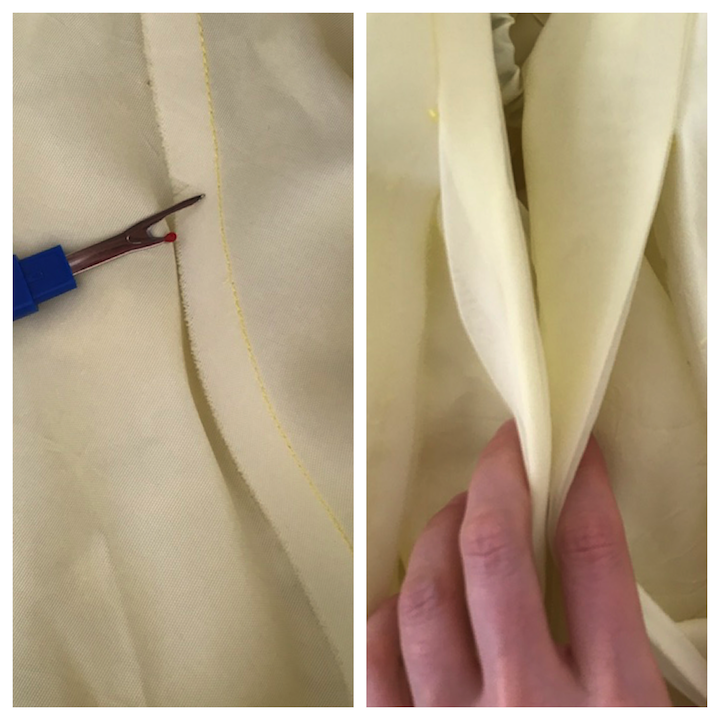 There were two seams straight down on each side of the skirt - I measured where my arms would be and I opened about 7 inches worth of fabric to create armholes. I then stitched down the raw edges securing the new armholes in place. I paired my new poncho with some skinny grey jeans and wedges, however this could have totally worked as a summery frock or bathing suit cover up! And honestly, I had a camisole underneath, but you could use this to layer on top of a long sleeved shirt to give it a little pizazz, or just wear a bra! I'm so happy that I used every part of this dress to craft two seriously awesome pieces!!! 22 Days Til I Do!